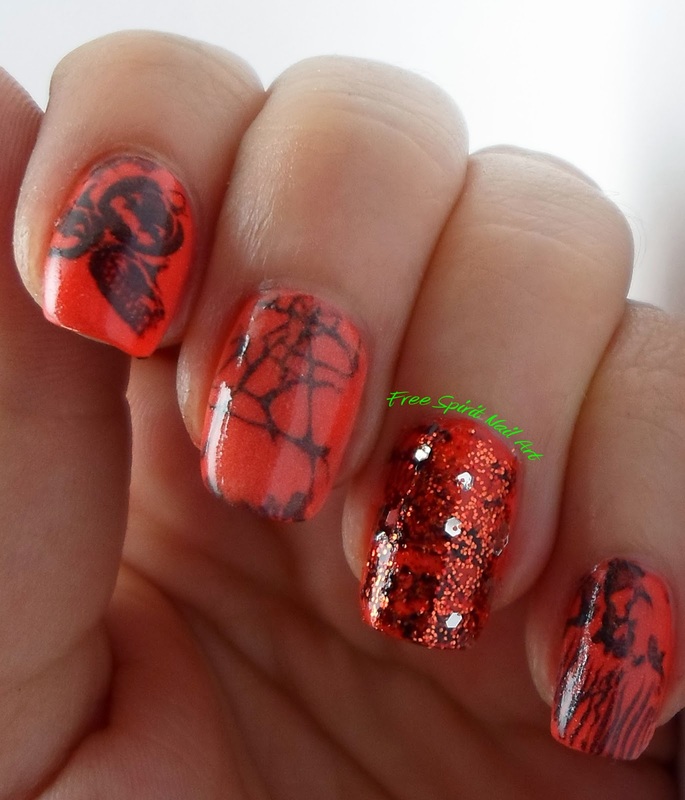 Hello my fellow nail art lovers! 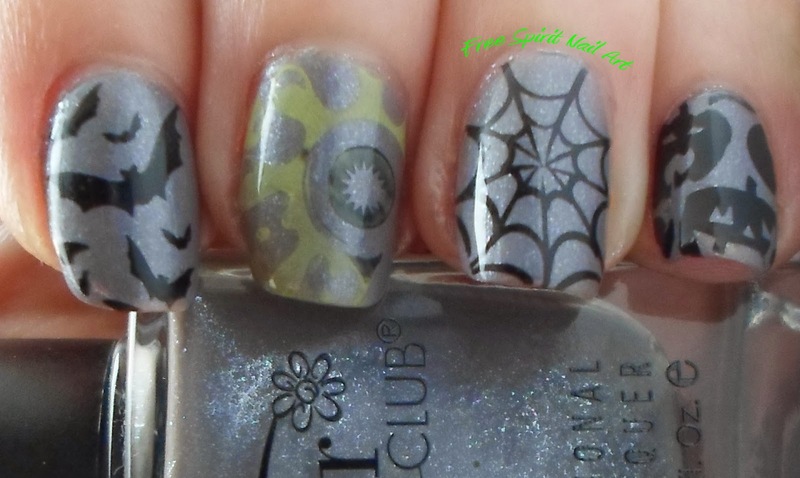 I meant to have these posted leading up to Halloween but got side tracked with work, so instead I'm showing you them all at once! 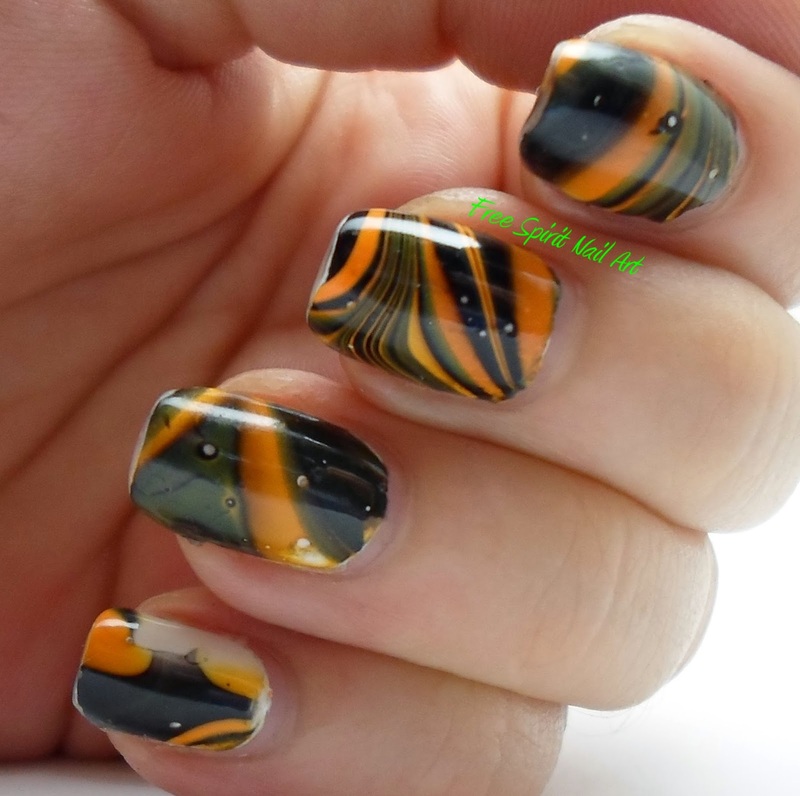 I used Sinful Colors Black on Black and Anchors Away to create this water marble mani. 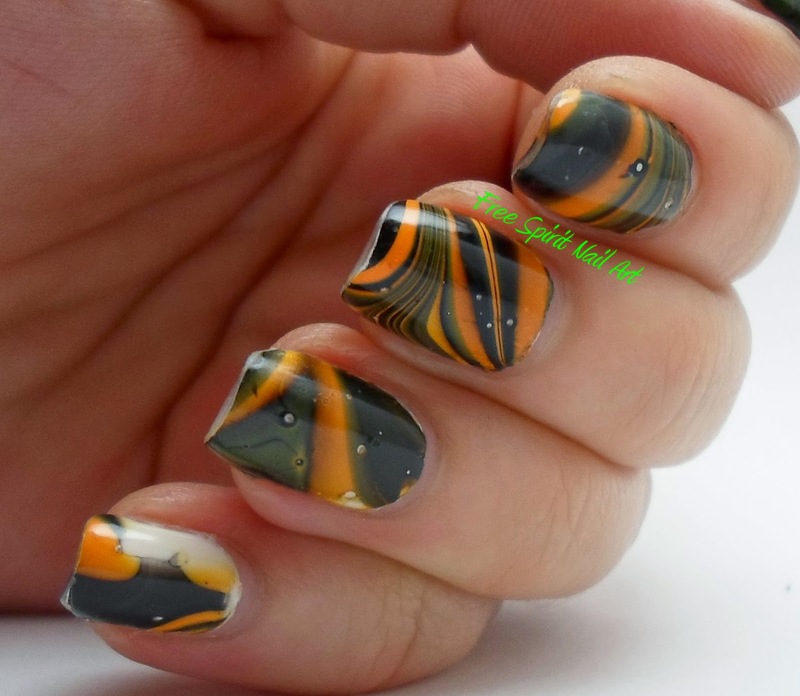 The water marble is done on top of a white base (Sinful Colors Snow Me White) to help the orange really pop! 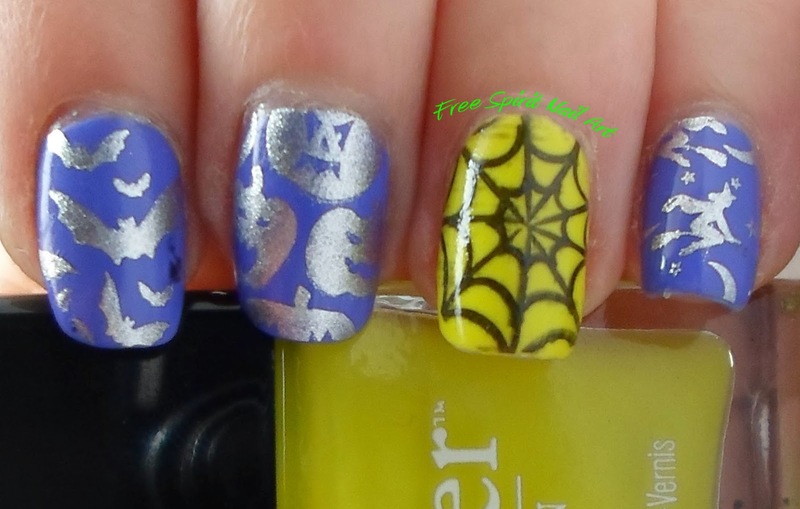 The base color is Color Club's Wild Orchid and I used Sinful Color's Black on Black for the stamping The images are from Cheeky's Happy Holiday Jumbo plate and Bundle Monster plate # BM-H06. 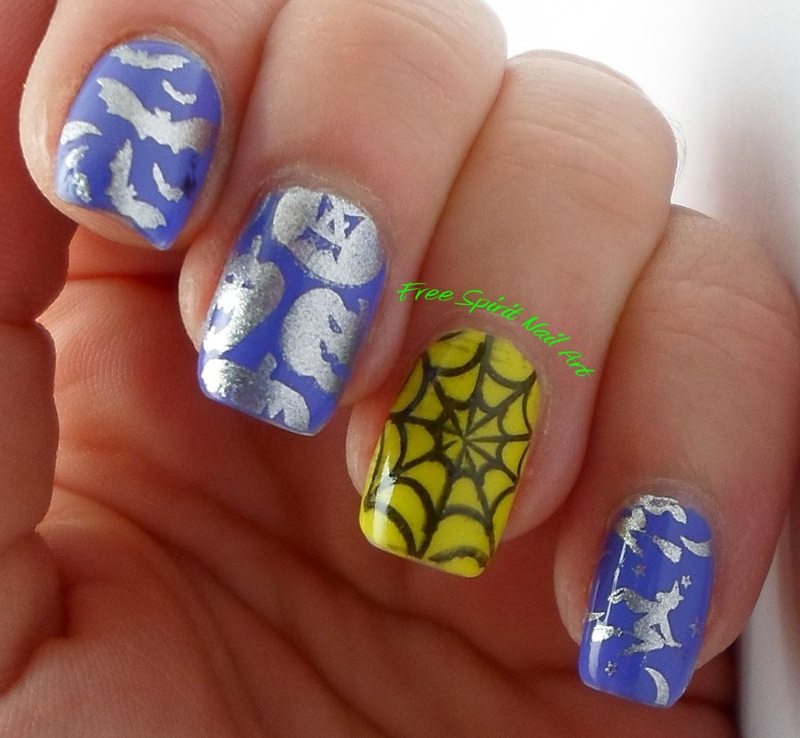 These were done with Color Club's Pucci-licious as the base color and the accent nail is Butter London's Wellies. The silver stamping is a brand called Barielle named Platimun Ring. The images came from Cheeky's Happy Holidays Jumbo plate. 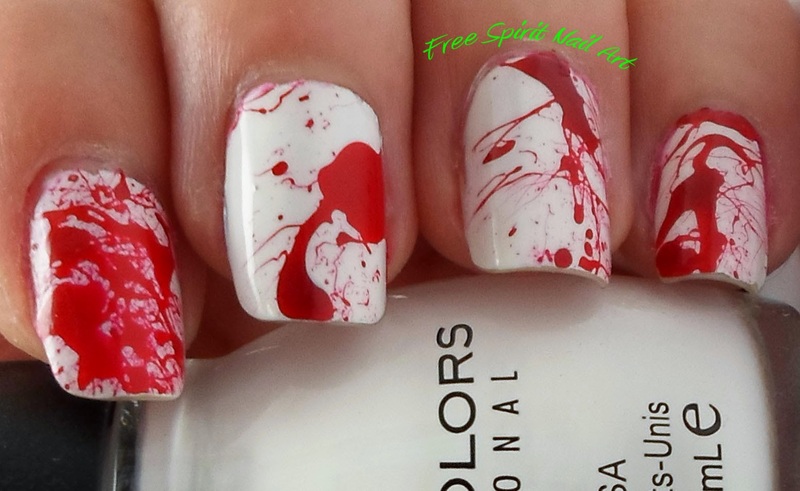 These last ones are my favorite and were done with Sinful Colors Snow Me White and Zoya's Livingston. 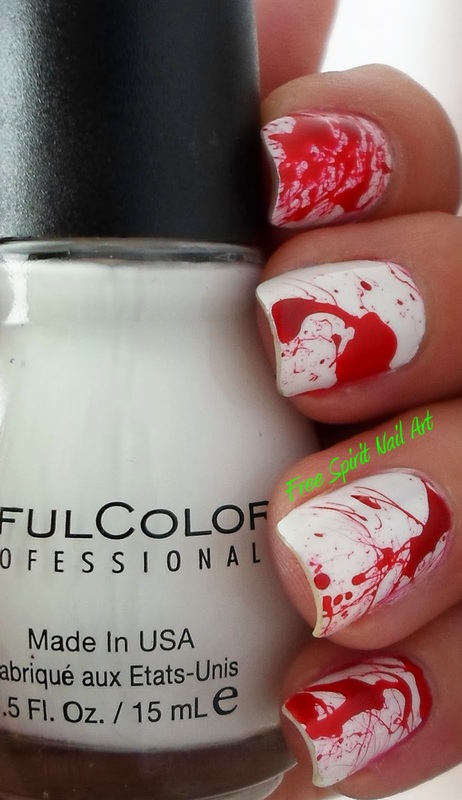 I used a straw to blow the red on achieving the blood splatter look. I can't wait until next Halloween and hope you all enjoyed my 1st post! Please feel free to share!